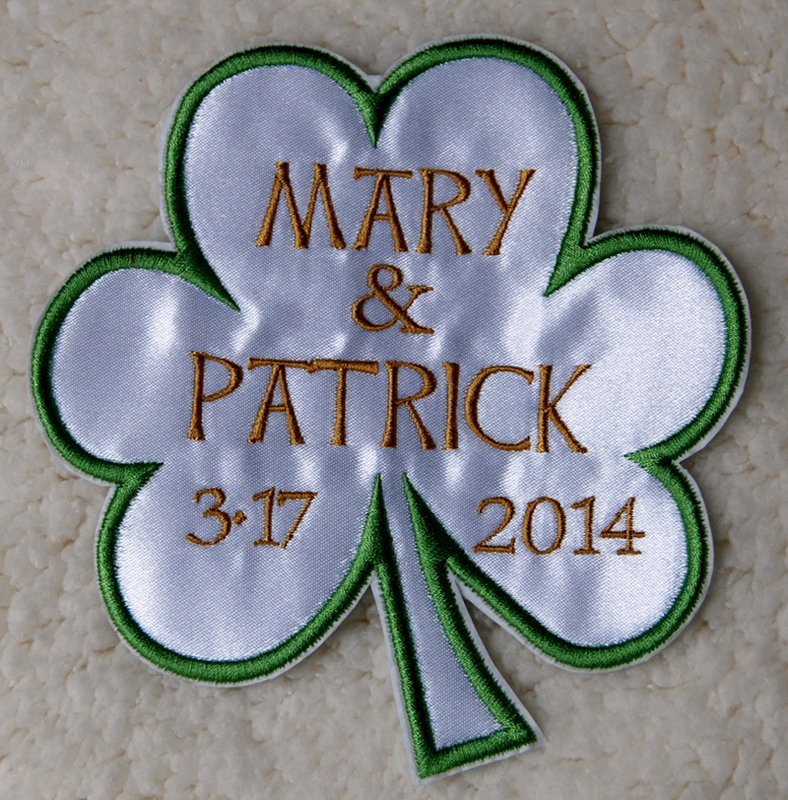 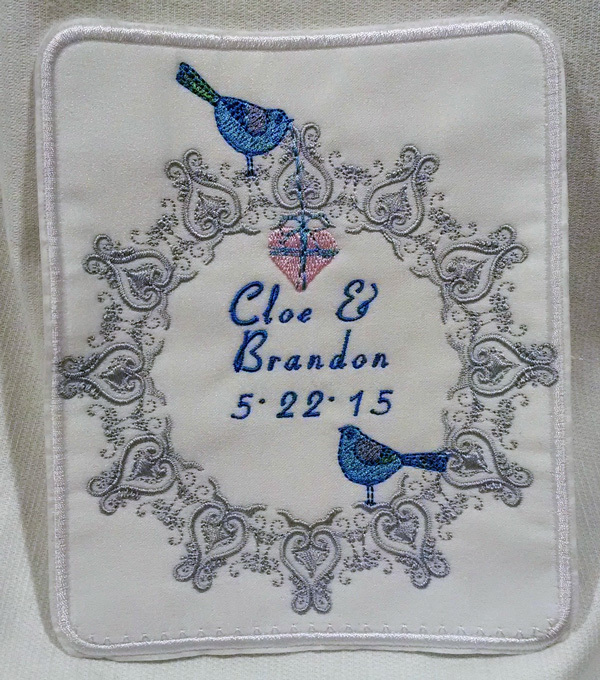 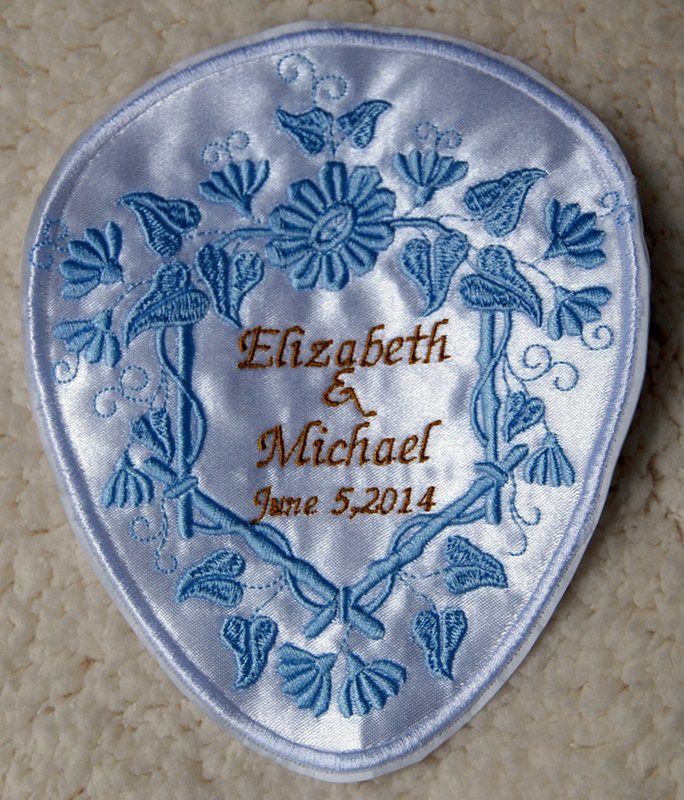 Becoming very popular are bridal “badges.” These badges can be sewn into gowns, clutches, and other items. 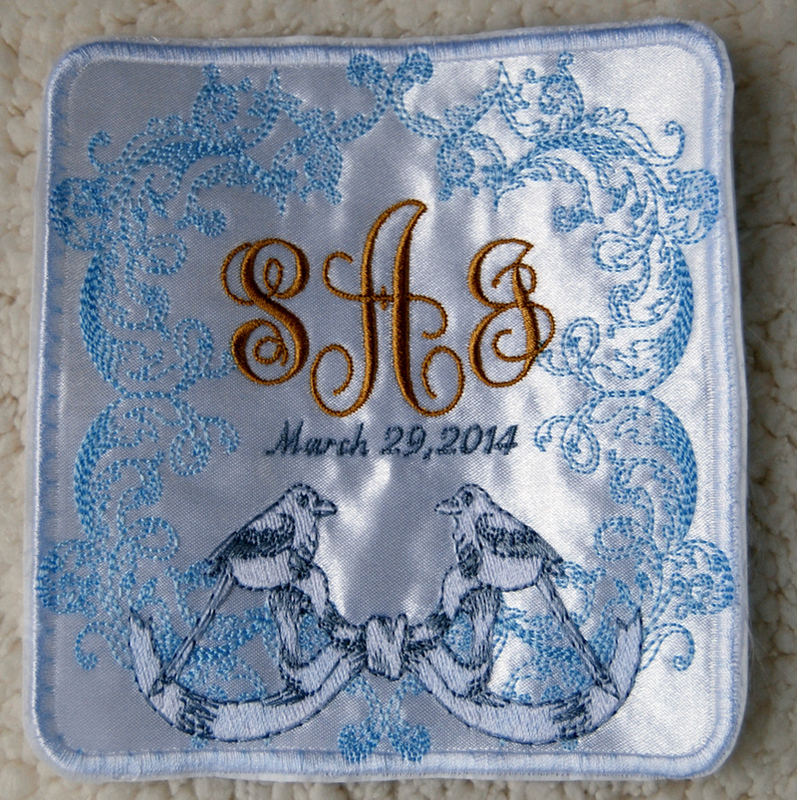 And they are not just for the bride. 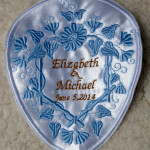 Personalized badges can be made for anyone in the wedding party. 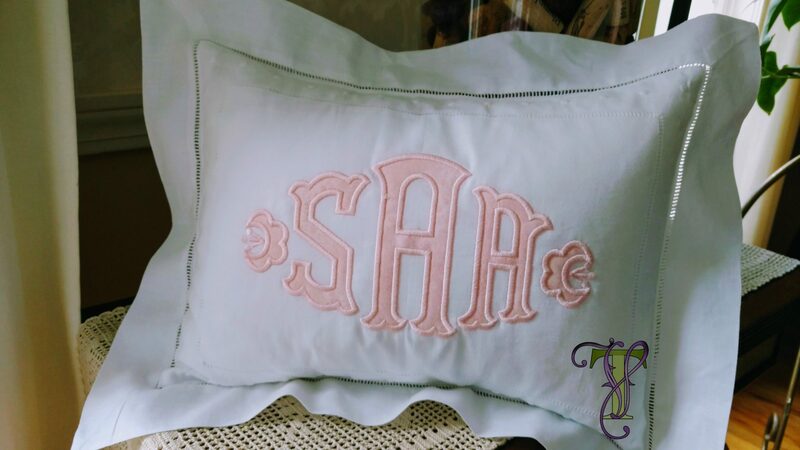 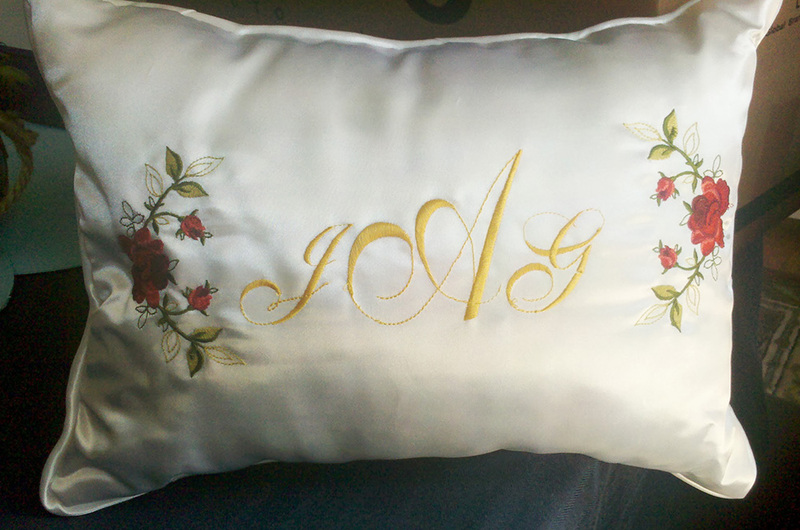 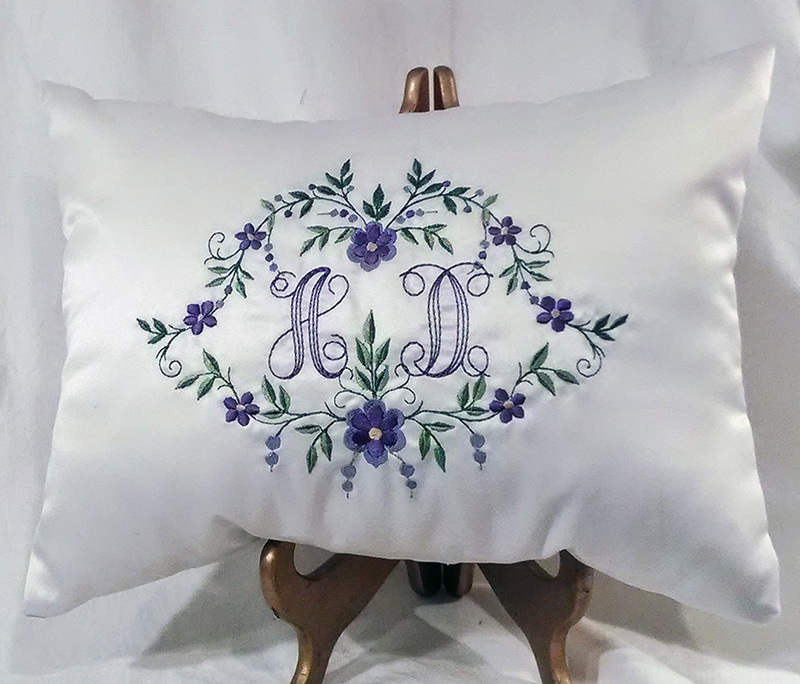 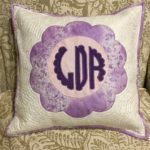 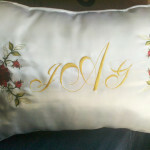 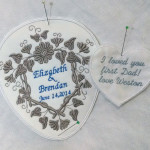 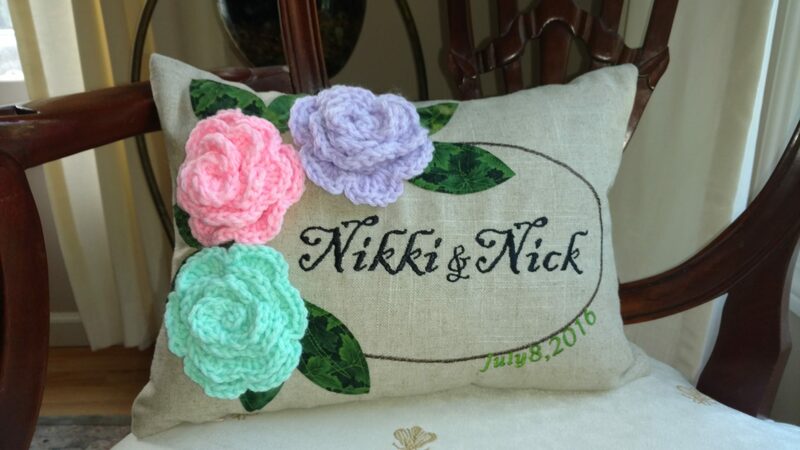 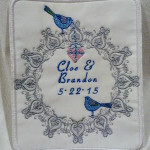 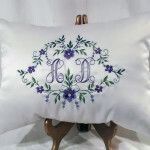 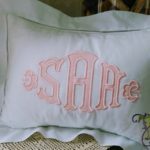 Personalized items also make great wedding gifts and gifts for the bridesmaids and groomsmen. 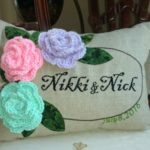 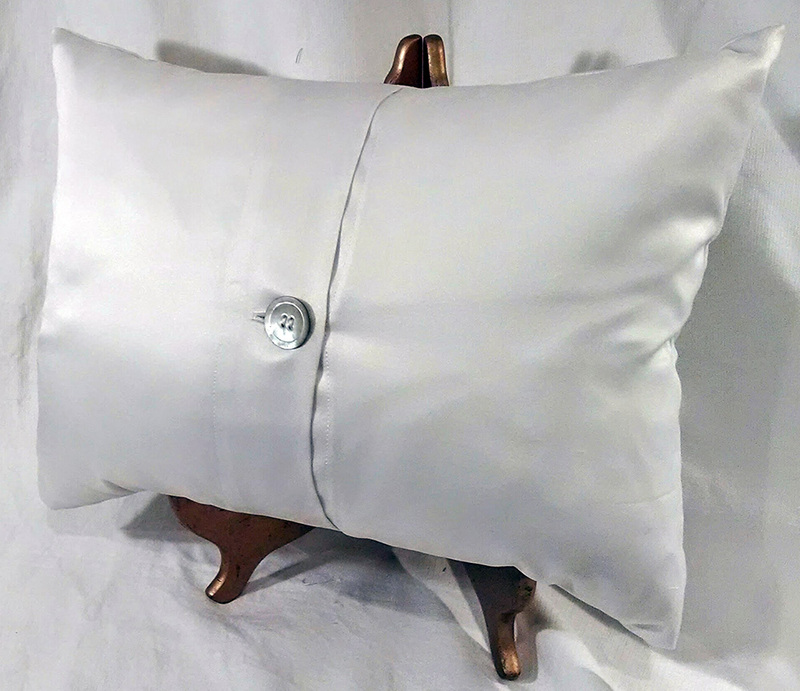 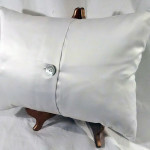 At the wedding, the ring bearer pillow can be hand-crafted and personalized to be not only a special highlight but a keepsake. 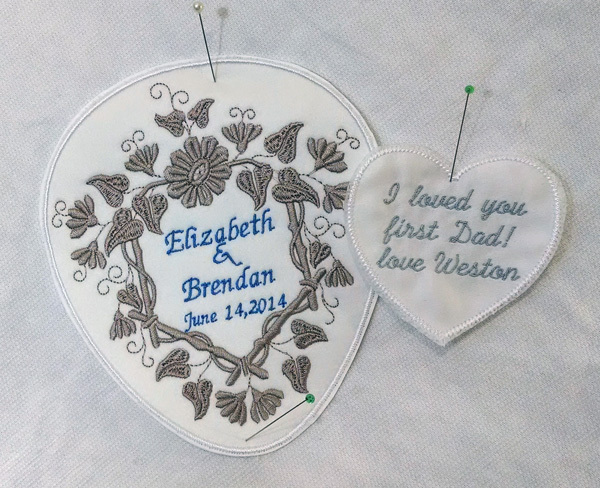 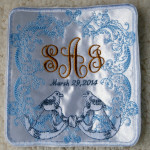 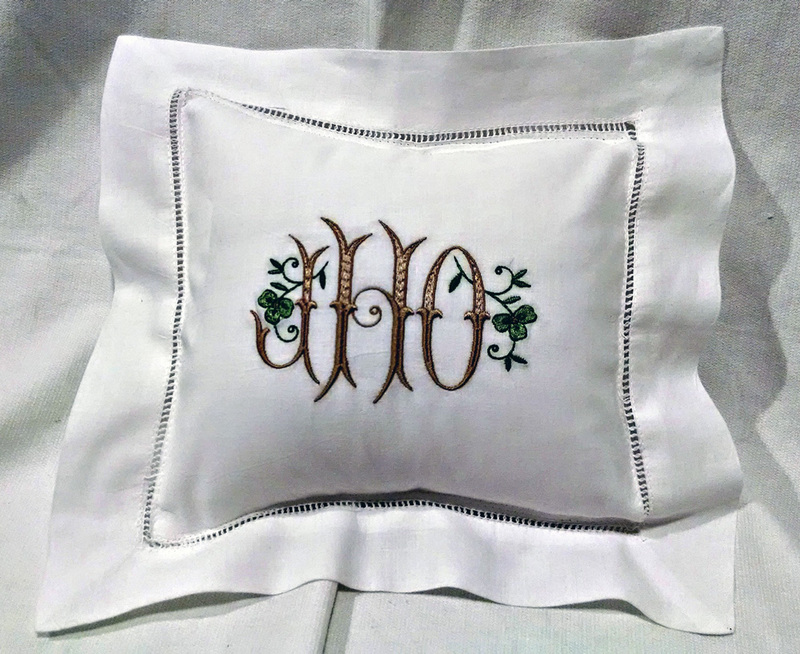 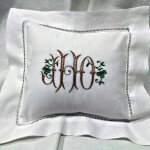 For the wedding reception, embroidered table decor or wedding favors are wonderful way to add that personal touch.